These complex, herbal, bittersweet drinks, with names like Averna, Ramazzotti, Montenegro and Fernet Branca, are usually consumed as aperitivi or digestivi - drinks thought to either encourage the appetite before dinner or help with digestion afterwards. Aperol - based on bitter orange and rhubarb and containing classic bitter ingredients like gentian and cinchona (a source of quinine) - has rocketed in popularity in recent years following a push by owner Gruppo Campari. Sales rose 156% in the UK in 2012 and 56% in the US. This year's figures, announced soon, are expected to be even bigger. A poster campaign in the UK encourages people to try an Aperol spritz - prosecco sparkling wine and soda water mixed with Aperol. A fundamental point of the spritz is its low alcohol content. 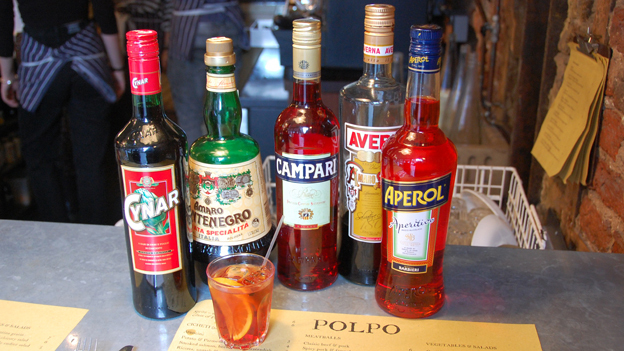 Aperol's slogan is "poco alcolico", roughly meaning a little bit alcoholic. "I think the Aperol spritz was probably the most asked-for drink in the outdoor areas of most decent bars in London this summer," says World Duty Free mixologist Charlie McCarthy. Laura Tallo, from Nonna's Italian Cucina in Bath, says many British drinkers have returned after holidays in Italy, having seen certain drinks paired with tavola calda - the selection of hot, freshly-baked food. 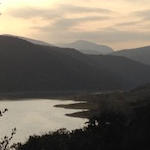 "People are definitely beginning to embrace the Italian custom of drinking aperitifs. We have seen a definite trend emerging of people choosing classic Italian pre-dinner drinks such as an Aperol spritz, Negroni [equal parts Campari, gin and sweet vermouth], Americano or Martini," she says. Such drinks are not to everyone's taste, of course. While many Italians have been brought up around the tradition of amari, they can baffle non-Italian palates at first taste. "They say of a Negroni the first two or three sips you despise, and after you have had two or three drinks you start to like it," says Tom Ross, bars manager of the Polpo restaurant group in London. The taste of Fernet Branca - vaguely minty but with pungent undertones of cough medicine - is so powerful that comedian Bill Cosby constructed a seven-minute anecdote around his initial horror on encountering the drink in Italy. And yet Fernet is loved by many, being drunk with cola in Argentina and - accompanied by a separate shot of ginger beer - known as the "bartender's handshake" in San Francisco. One of the first recorded definitions of a cocktail was in a New York journal in 1803, which classified it as a mixture of any "spirituous liquor", with water, sugar and "bitters", known at the time as a bittered sling. You can find the descendant of these traditional bitters (with the term typically referring to both singular and plural) in any decent bar in the UK or US. There'll be a rather unusual bottle among the others - small with a yellow top and an oversized label covered in small print. It is the world's most famous cocktail bitters, Angostura. This bitters is the key ingredient in pink gin, the traditional officers' cocktail in the Royal Navy. It's also the bedrock of famous cocktails, including the Old Fashioned, beloved of Mad Men's Don Draper, and the Manhattan. A supply shortage in 2009 caused panic throughout the world's bartending community, according to McCarthy, and prompted bartenders to start making their own. Bob Petrie, of Bob's Bitters, started in 2005 when he was approached by the Dorchester Hotel to create a range. Traditional bitters are very complex, with aromatic flavours brought out from a combination of barks, roots, herbs, and spices by macerating them in alcohol. He looked at pairing them with the "botanicals" in gin, and came up with a range including cardamom, chocolate, coriander, ginger, grapefruit, lavender, liquorice, orange and mandarin, peppermint and vanilla. 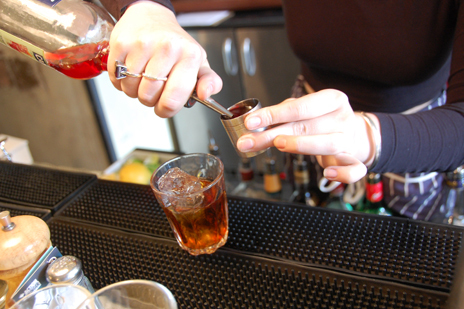 "Single flavours are a lot easier for the barman as it gives a lot more scope," Petrie says. 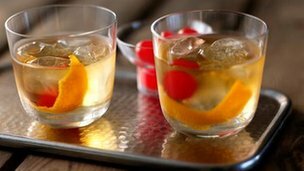 Rochdale-born US celebrity mixologist Gary Regan is another who was prompted to make his own to replicate the orange bitters in some old cocktail recipes. "When I realised it was hard to get good ones I decided to make my own. I stole a recipe from the Gentleman's Companion of 1939. I had about four different trials and eventually got something I liked. "This shift towards bitter has been going on for eight years," Regan estimates. "[But] most bitters aren't that bitter. They taste herbal. In fact, they are a bit on the sweet side sometimes." Fee Brothers in Rochester, New York, has been making bitters since 1863, with a short break for prohibition. Joe and Ellen Fee are the fourth generation. Their 92-year-old father still regularly visits the plant. Joe Fee says there has been a marked increase in sales over the past seven years. "Just about anything can be made into a bitters. They are your spice rack behind the bar." "I am the Willy Wonka of the cocktail mixers," boasts Ellen Fee, who conjures up the new flavours. "I like to think in terms of what flavour is already bitter. Cocoa powder is bitter, cranberry is bitter. You add to that and make it more interesting." 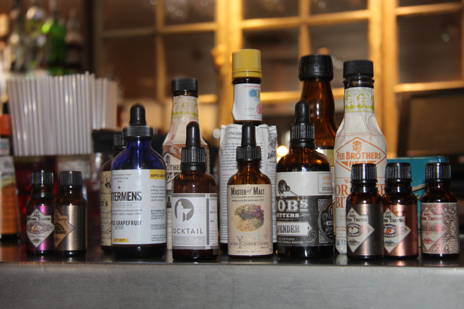 The plethora of these cocktail tinctures and potions shows the tastes of aficionados have shifted. But there are other flagbearers for a more bitter palate. Many James Bond fans attempt to recreate the Vesper Martini from Casino Royale. Bond asks for it to be made with strong gin, vodka and the bitter Kina Lillet. Lillet took out much of the bitter quinine in the 1980s and fans tend to use Cocchi Americano Italian vermouth instead. And the Queen has followed in her mother's footsteps by drinking gin and Dubonnet - the quinine-bittered French aperitif. Just a few years ago, her choice was seen as unusual. I have always been fond of a Campari spritz. The Aperol spritz is an aberration, sweet and cloying. The Venetians often make a spritz with 'Prosecco Spento', and then add fizz with soda. They also drink extremely small spritzes. But then the Venetians are mad.